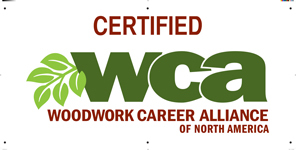 The WCA MANufacturing™ membership is designed for forward-thinking wood manufacturing firms to evaluate, recognize, and reward employees. The annual fee is $250 per company, with membership running from Jan 1st through Dec 31st of each year. Subscribe to the program or renew your membership. See the list of companies actively participating in the program. Information for managers and employees.